The Apple Watch won’t work properly for those that have tattoos, according to some that have used it. The ink in arm tattoos could stop the watch from recognising that it is being worn, according to posts on Reddit. If the Watch can’t see the skin of its wearer, it will think it’s been taken off and lock itself as well as not working as a payment solution for Apple Pay. One user said that he thought that his Watch was broken, since the wrist detection tool wasn’t picking up that it was being worn. But when he put it against his hand, which isn’t tattooed, the Watch seemed to work fine. While the wrist detection can be turned off, it makes the Watch less secure and stops it being used for more sensitive features like Apple Pay. One Reddit user suggested that the problem is the way that the sensors pick up the colours of tattoos, particular if they are drawn using dark, solid colours like blacks and reds. Lighter colours can throw the heartbeat sensor off but darker ones can lead to the Watch not recognising its wearer at all. The sensors use light to read heartbeats and recognise that the Watch is being worn. By pairing green LED lights with light-sensitive sensors, the Watch can tell how much light is being absorbed by the blood and so how much is flowing through users’ wrists. But the black or dark ink of tattoos absorbs the light too, making it hard for the Watch to get a reading. Melanin, the pigment that gives skin its colour, reflects infrared light differently meaning that the problem won’t happen as a result of people’s natural skin colour. The same technology is used by other smartwatches and fitness trackers like the Microsoft Band. Apple’s website already warns that some users might have problems getting heart rate readings, and that “for a small percentage of users, various factors may make it impossible to get any heart rate reading at all”, as The Verge points out. 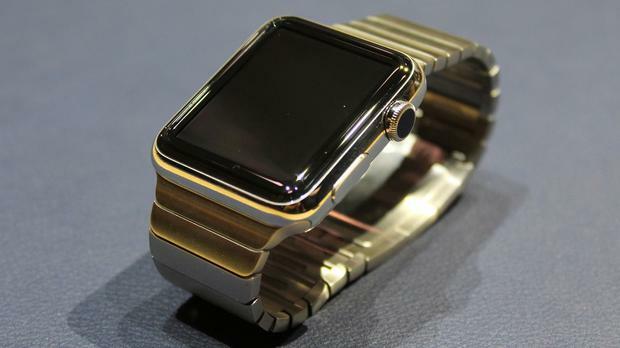 But the company hasn’t said anything specifically about Apple Watches. The Watch and the iPhone can both be paired with other ways of measuring heart rate, such as Bluetooth straps that go across the chest. And Gizmodo speculates that the problem could be fixed in a future firmware update, by making the light shine brighter so that it can see through the black ink. 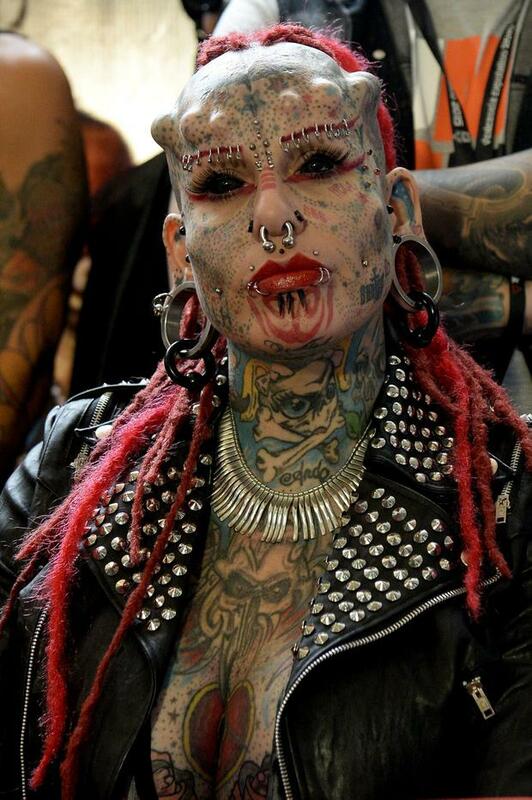 Mexican Maria Jose Cristerna, known as "Vampire Woman", Guinness World Record for being the woman with more changes in her body in America, poses during the "Expo Tatoo Venezuela" in Caracas on January 29, 2015. Hawaiian Kala Kaiwi, the man who claims the Guinness World Record for biggest stretch earlobes, poses at the "Expo Tatoo Venezuela" in Caracas on January 29, 2015. A tattoo artist works on a woman's leg during the "Expo Tatoo Venezuela" in Caracas on January 29, 2015.